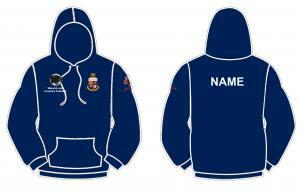 Pullover hoody embroidered with Panthers logo and either Warwick or Coventry University logos on front. Sponsors logo printed on left arm. Optional personalisation printed across back shoulder.